I get surprised on a regular basis when meeting new people who have lived in the Mackay region for years and yet never visited Seaforth! 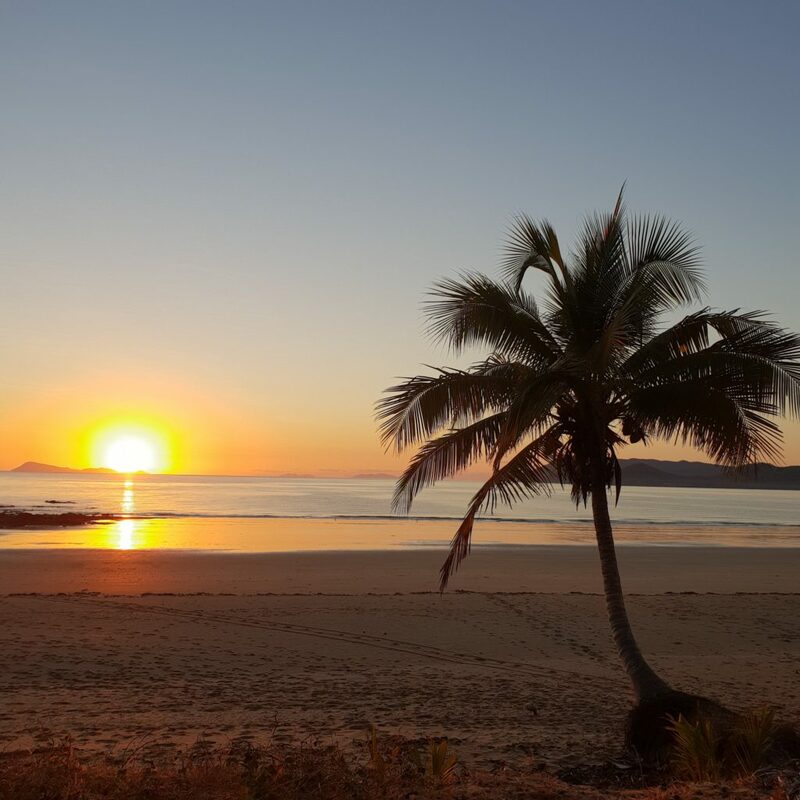 Seaforth is one of Mackay’s little hidden gems which lies nestled in a bay about 40 km to the north. 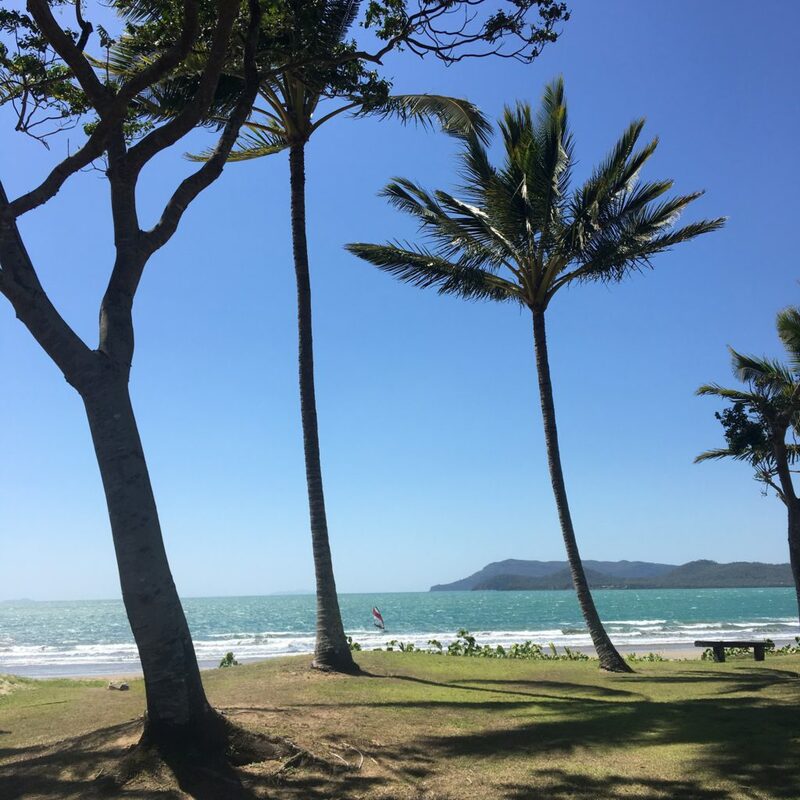 Most people traveling along the mighty Bruce Highway probably miss the turn-off, unless you are a grey nomad or a backpacker going to see the famous Cape Hillsborough National Park kangaroos on the beach. But Seaforth is a small coastal holiday and fishing town adjacent to Cape Hillsborough that really deserves a visit on its own merits. 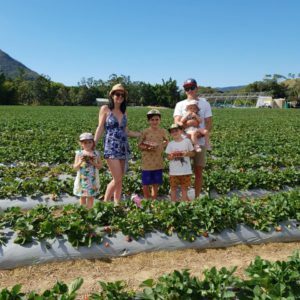 It is an easy 45 minute drive from Mackay centre so makes a perfect spot for a day trip and picnic lunch, or a relaxing family friendly weekend. Generally sleepy and quiet all year, Seaforth’s population swells during the holiday season with holiday homes and the caravan park heaving at capacity. What Makes Seaforth So Magic? What type of facilities are there at Seaforth? Where to stay at Seaforth? Travel Local, Support the Locals! This idyllic town has that small, slow-paced and friendly atmosphere that a lot of other southern beach towns have lost! 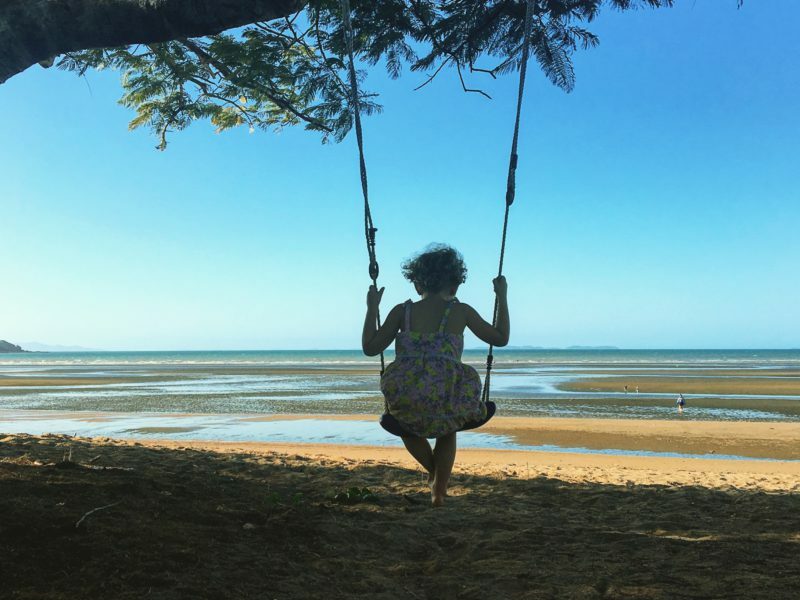 Have you been to South East Queensland lately? I find Seaforth puts a spell on you after a while – you first stay a couple of days and think to yourself “I could never live down here for it’s too quiet”, then it grabs you and you don’t want to go back to your reality, you just want to stay ensconced in that simple relaxing way of life. It has more natural attractions than you may realise. Seaforth is situated in quite a large bay that is slightly sheltered from the prevailing south easterly winds. The beach here is long, clean and tranquil and if you like long walks by yourself, with your kids or dogs they can run for miles. The tides at Seaforth fluctuate quite a bit but make for a dynamic flat beach area to play cricket, football, land sailing, and fishing. If all this sounds like too much action, just build some sand castles or swim. Believe it or not, you can actually get some half decent waves here on a stand-up paddleboard, or mal when everything aligns. The hot tip is to head to the northern end of the beach, towards Redcliffe Island, to the rocks near the last of the houses on a large high tide. Sometimes you can grab little lefts and right-handers peeling off the little reef and it generally works well after a windy southeasterly, or if there’s a giant system generating swell in the Pacific. The only other board rider you will ever find here is me! So don’t be scared. Seaforth is beautiful at any time of day and something about it makes you feel like time is standing still – the beautiful gentle sea breezes coming off the ocean, the islands of Brampton, Goldsmith and Whitsunday in the distance, the towering palm trees growing along its shores, the haunting sounds of curlews during the night. 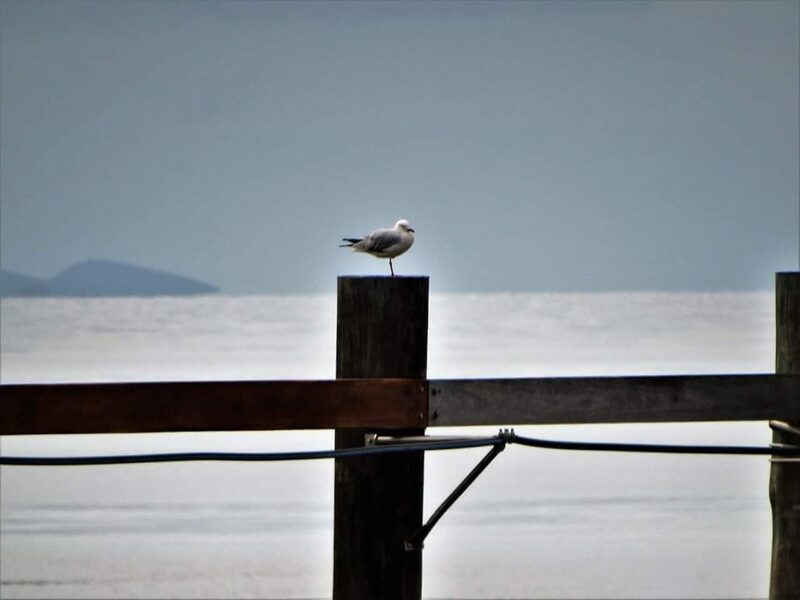 All the time you feel like you are being protected by the Cape Hillsborough escarpment, and Indian Head presiding over the bay, there are so many characteristics in the surrounding landscapes that have a kind of Dreamtime feel. Two stores, the Seaforth General Store where you can buy beer, wine, spirits, milk and fill the car or boat up. The main place to stay at Seaforth is at the Mackay City Council run Seaforth Caravan Park. The park is located right on the beach, within walking distance to playgrounds and the swimming enclosure, is flanked by the two shops and is shaded by tall trees. Prices are $30 dollars for a shady site and are all unpowered. Facilities include toilets, hot and cold showers, and a small camp kitchen. There are no washing machine facilities at the caravan park unfortunately. This park is definitely worth the money, just remember to bring some bug spray – sometimes the sandflies can make you a little itchy depending on the time of year. Just as you enter town these units are on the right next to the General store. They are 1, 2 and 3 bedroom self-contained units starting from $99 for a 1 bedroom unit up to $135 per night for a family room. The units are just a short stroll to the beach and a great place to relax over the holidays or for a sneaky weekend away for something different. There are a variety 5 star quality beachfront homes and smaller cottages and studios available for rent on Airbnb. 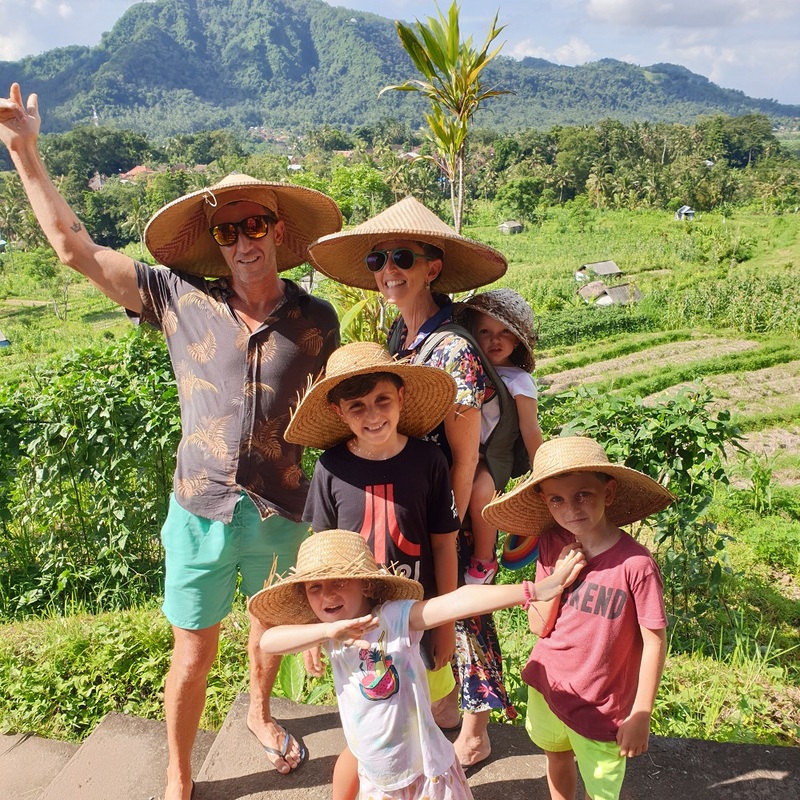 Read our article here on why we always stay Airbnb, especially with a family. The bottom line has got to be great value for money, and Seaforth is no different. You can sleep up to 8 people in a 3 bedroom converted old church which is walking distance to everything for only $150 per night! With a kitchen and laundry, this makes it a fantastic choice. 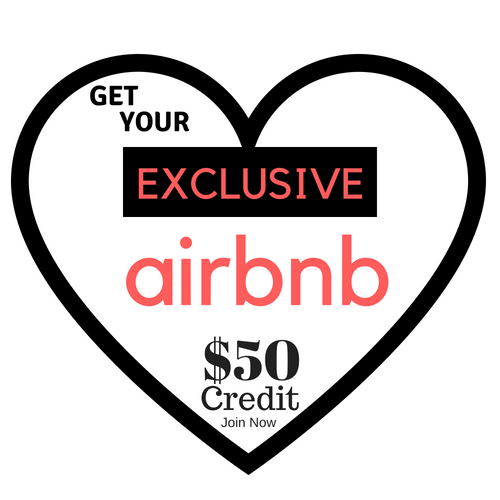 Click on this link to join Airbnb now and you get a real $55 credit to use towards your next stay. Fishing is probably the number one activity that most people do when they come down to Seaforth for a break. 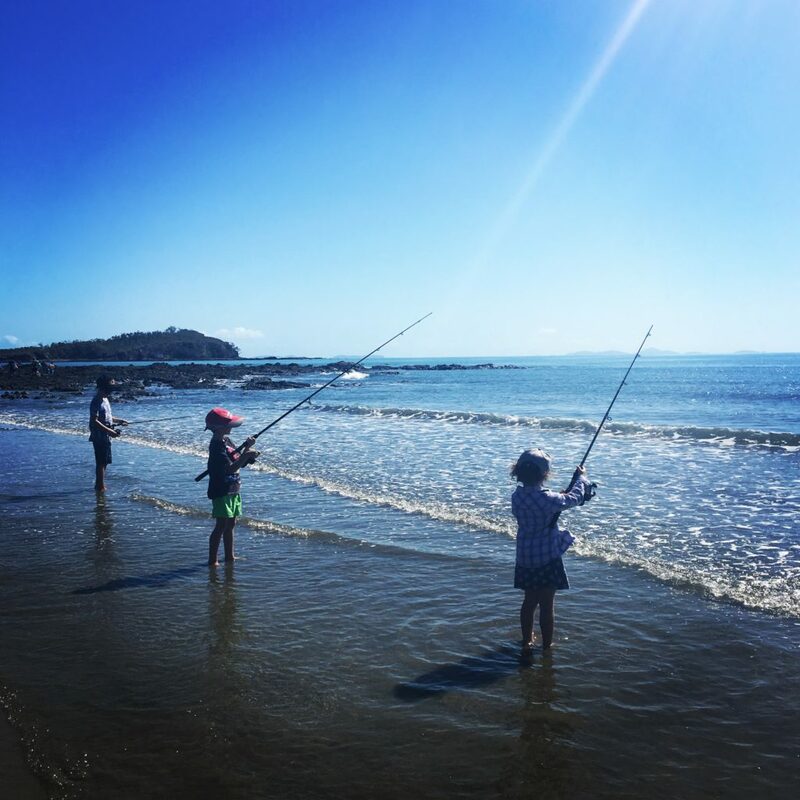 You can either fish straight off the beach or head on down to the local Victor Creek boat ramp (located at the end of the road when you drive through Seaforth town and head north). From here you can launch your tinnie or luxury cruiser and explore the estuaries and the vast array of islands just offshore. 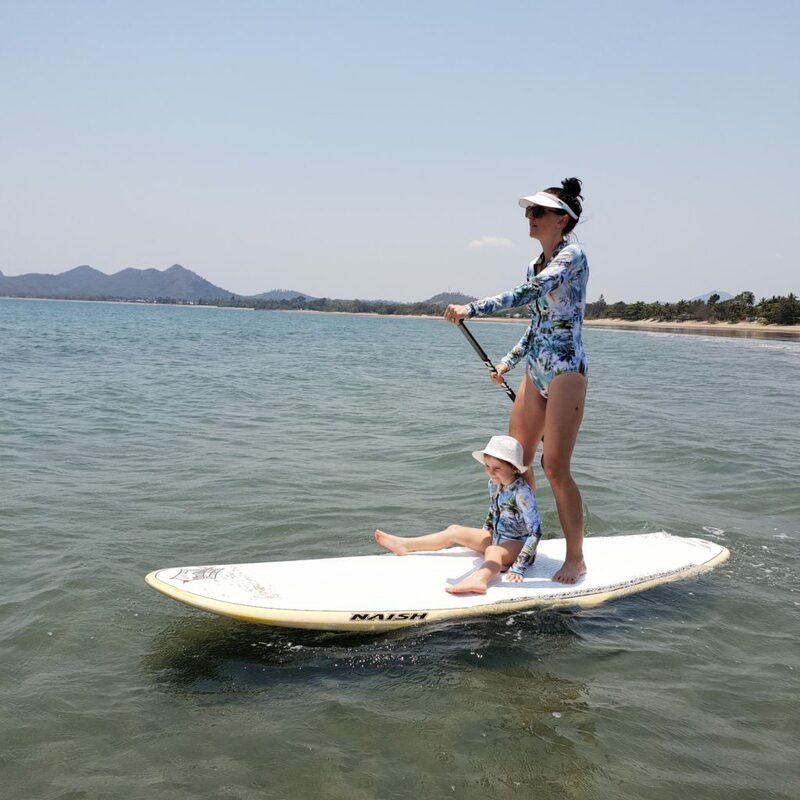 Nearby island hopping opportunities include Rabbit Island, Newry Island, Fish Reef, Mausoleum Reef, Redcliffe, and outer Redcliffe Islands. 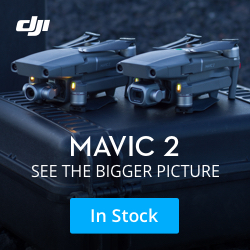 You will be impressed at what you can catch out here. 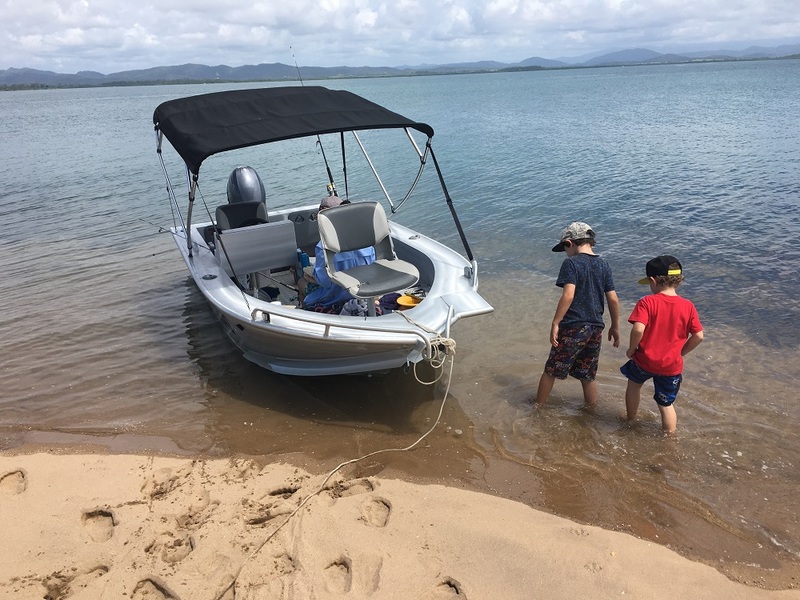 There are so many spots to explore, head up the many little inlets and throw in some crab pots or scan the creeks for prawns in the right season and weather conditions. Book a tour of the islands with Seaforth Island Charters –these guys will show you the best local spots and give you a fantastic tour of the islands off Seaforth. Head to the Seaforth Bowls Club for a beer or a meal and feel like a true local. Try your luck on the pokies (ha you won’t win!) or have a punt on a horse or two to increase your wealth. They have regular live entertainment on weekends and a poker gamer or two too. Have a game of barefoot bowls in the afternoon and experience the lush greens. They do also have a small playground adjoining the club for your kid’s entertainment. Unfortunately it is at the wrong end of the club and doesn’t open up from the the inside. Explore Redcliffe and Outer Redcliffe Islands. These two islands are close to the mainland, and with a little planning and forethought are accessible on foot via the causeways. This is only possible on an outgoing tide, and please ensure you have at least some knowledge of ocean tides before attempting the trek. There are so many massive natural oysters on the rocks out there! There is a walk up to the top of the old look at on Outer Redcliffe and some incredible secret coves to explore that will make you feel like you are in the Mediterranean. For an even better perspective, why not try the circumnavigation of the islands on a kayak or stand-up paddleboard?! Grab a racket and have a hit of tennis on the local courts or get the kids on their bikes to hit the little BMX track and pop some mad air or mad stacks. This is located right next to the Bowls Club. Join your friends for a hit of golf at the nearby Halliday Bay Golf Course which is probably the most picturesque course in Australia. There are only 9 holes but the stunning views of the ocean and islands out to sea will take your breath away. Mackay Bowhunter’s Club – Have you always wanted to try out the ancient art of using a bow and arrow? Then they have a beautiful range just as you come into town and meet regularly on a Sunday for events. See their Facebook page for details. Seaforth Markets – these very small local markets are held every Sunday on the corner near the store, they sell fruit and veg, books and some local crafts. A mega-market is held once a month which has a lot more. Grab a bargain at the thrift shop – it is on your left as you enter town look out for the big shed. This large and eclectic collection of trash and treasure will keep the savvy shopper entertained for hours! Take a drive to the Old Station Teahouse just up the road towards Cape Hillsborough and have yourself some scones and tea. This magic little spot is set amongst the lush rainforest and beautiful shady gardens. Visit the Cape Hillsborough National park and take a backpack, some supplies and go bushwalking amongst our untouched Australian bushland and don’t get lost! There are plenty of great scenic walking tracks for all levels, a ranger station, caravan park and kiosk, day use area with picnic tables, playground and toilets, and a boat ramp. Or just relax at your accommodation and watch the day pass by, you don’t have to do anything, it’s Seaforth – just chill out. 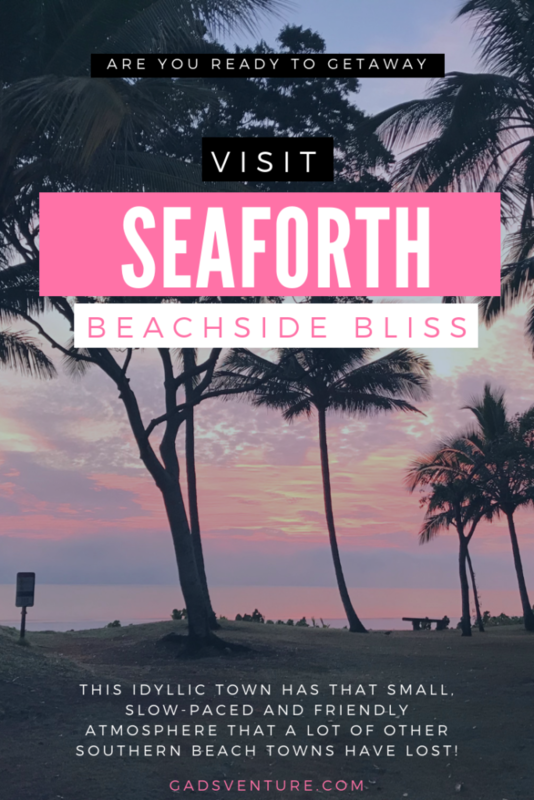 I hope this informative guide on Seaforth has given you a little bit more incentive to travel to this beautiful jewell in Mackay’s crown and has persuaded you to give it a try on your next break – you won’t be disappointed! Travel local and support local businesses, without your support these towns slowly close down after time and we the travellers end up with nowhere to go, so why not save on fuel and be good to the environment keep it local. Leave a comment below if you know of any other top things to do in Seaforth!